Some time ago I came across the derisive term “coconut”. Specifically it was for referring to “a Mexican who was brown on the outside but white on the inside”. I believe that the term is also expanded to mean anyone of brown skin (Indians, Filipinos, etc) who is seen as having left his/her cultural ethnicity for “being white”. This is no different than other terms out there to refer to ethnicities or people of color who have “gone white”. This post won’t be for discussing what “white” means (and non-white) and why I’m using all those quotation marks. But if you want to think about if from a humor perspective, go check out the blog “stuff white people like”. But I wanted to throw that all out there for those not in the know to provide the context of how I will use a newly created term with pride: Aguacate, the avocado. As far as I know, as of this publishing, I am creating this term. 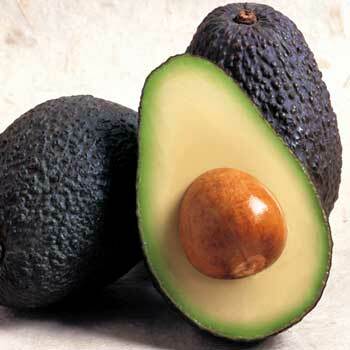 The Aguacate will refer to “brown on the inside and green on the outside”, being “green” (conservationist/environmentalist) and “brown” (not just in skin color but in socio-political perspective). Yes, you may ask, “but aren’t avocados black on the outside?” Yes, many are, but not all, and I figure that for the avocadoes that are black, then the more inclusiveness the merrier— I know it’s not a perfect metaphor. As I’ve mentioned in other places, “Brown and Green” is to refer to the idea I’ve played with Green Chicanismo, combining elements of conservation/environmentalism with Latino/Chicano culture. I won’t digress here too much on the “why make it seem separate? Can’t we all be conservationists regardless of skin color?” Short answer is yes and no because as we look at the intents, processes, and outcomes of environmental actions, it can differ according to socioeconomic status, cultural ethnicity, and skin color. And that difference matters not just from a point of perspective but also in how policies are debated, framed, and implemented, with real-life consequences for people. One clear way to see that is with a look at the history of environmental justice—and why people felt a need to develop that term in the first place. But coming back to Aguacate: it is Spanish for avocado. I am also using it because of its cultural ties to Mexico and “being Latino” versus say, if I used a green olive or the like. I am also using “the Aguacate has launched” as a title because of the reference to rocket ships and science— and science is awesome. So I’ll call myself and Aguacate and use it as my “mascot” if you will.